Produces a dark, opulent, red coloration that lasts the entire blooming season. Starts blooming Late September in the North and Early October in the South. 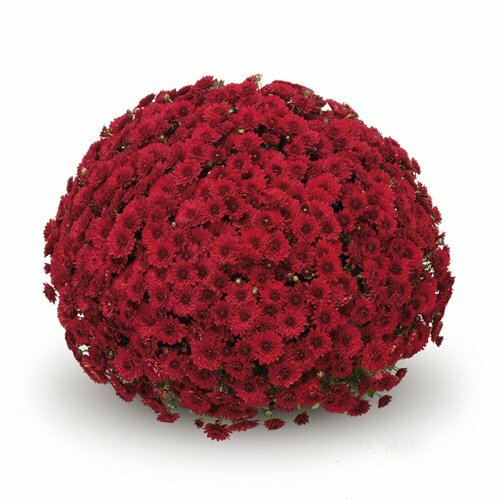 All our 'Lava Red' Chrysanthemum Plants are grown and shipped in fine quality growing medium. They are guaranteed to arrive alive and ready to plant. Comment: The Lava Red Belgian Chrysanthemum plants arrived in perfect condition. Packed extremely well & worth shipping charge. Comment: As always, the plants arrive in pristine condition. Comment: These Belgian Mums came very well packed and very very healthy! I've only had them planted for a week and they are still looking great! Comment: All 7 plants were received in great condition and in a timely manner. I was impressed with the condition of the plants. They are in the ground and doing well.